It’s time for the holidays! 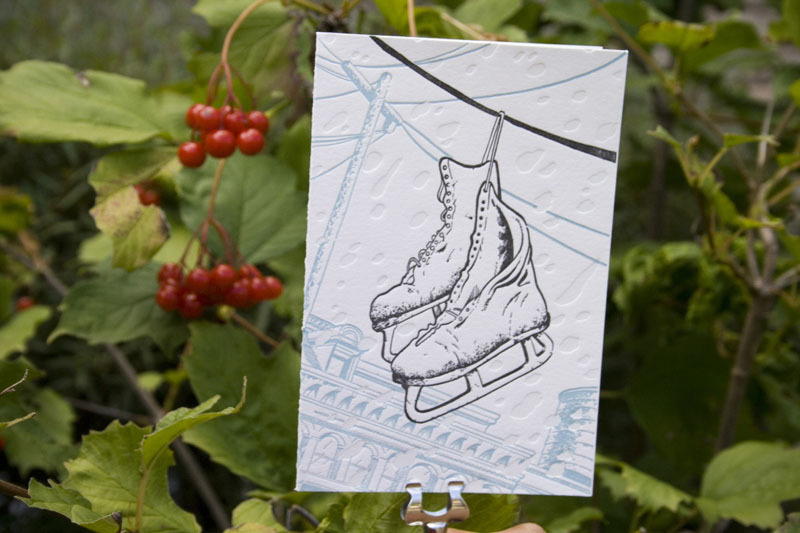 And so with the holiday season comes the time to send off your holiday cards (please don’t send holiday emails, unless they’re to complement your paper holiday card). Claudette the Press has been hard at work printing ours this season. 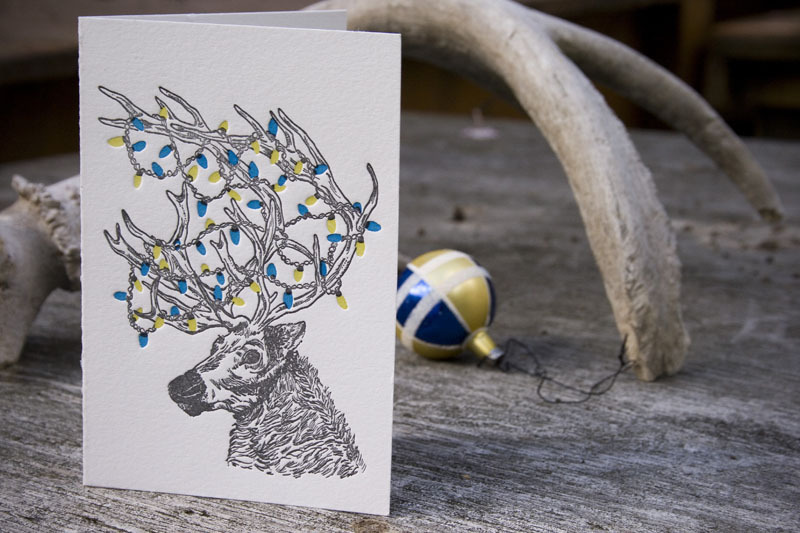 Papillon Press is introducing our first holiday cards. These two designs are originals, illustrated by yours truly (Joel and Chantal), printed in 3-colours on our favourite 100% cotton Crane Lettra. They also come with lovely coordinating light blue envelopes. You can order single cards, a 6-pack of each or an assorted 6-pack (of both cards). Visit our new Etsy shop to purchase.